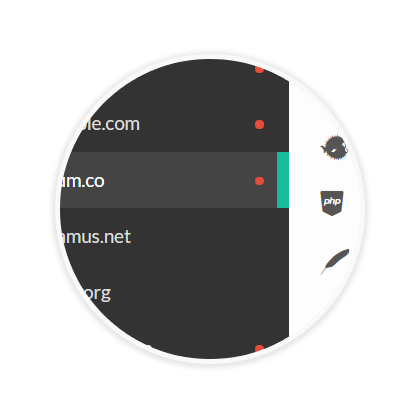 Discover how PatrolServer can help you secure your servers. Monitor your servers real-time for outdated software and exploits. 160k+ software supported and counting. Know instantly what's outdated and take action right away. No need to search the internet for endless fixes. 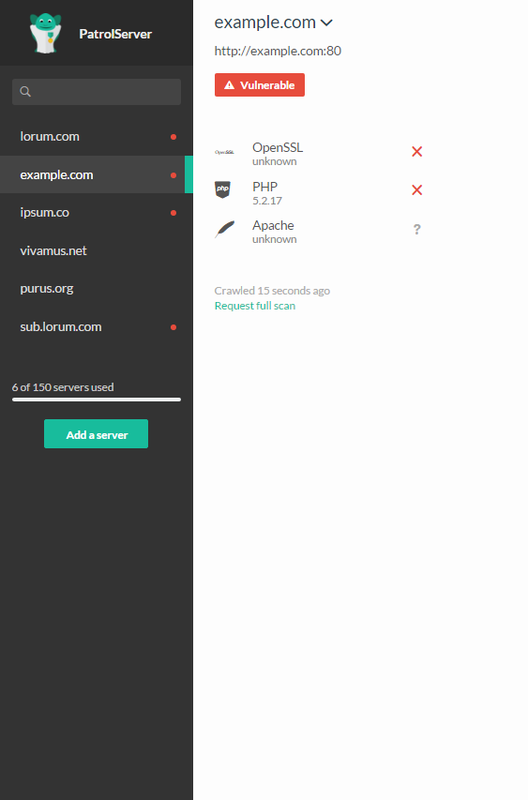 PatrolServer provides custom documentation that fits your server architecture. 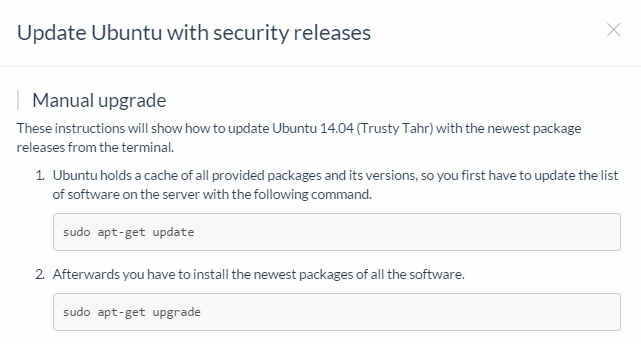 Upgrading your server has never been this easy. 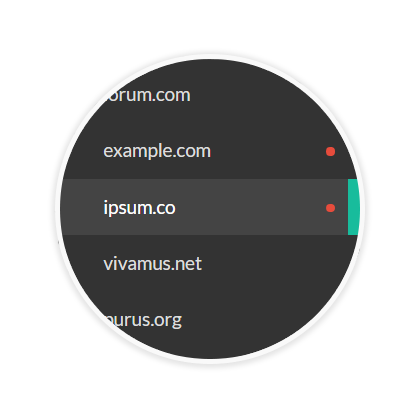 Use our API to integrate your services with PatrolServer and automate your software updates. 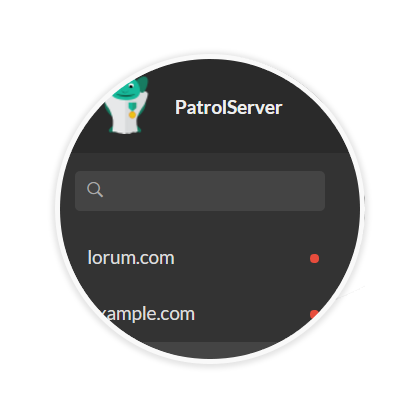 PatrolServer is free for a single server and takes only a few minutes to set up.